Fraction Bars without all of the Fuss! I despise it when my kids come up to me with the, “I don’t get it” statement. It takes half of a school year to transition all of my students to at least say, “I don’t understand ….”. I knew when diving into fractions this year I had to teach it differently than years past. I am s creative person and a reading junkie. Math never came easily to me, so to help my students I have always come up with tricks to solve the math problems. My students do well on assessments, but I know going into the Common Core era is going to make step up my game. The students will have to have a deep understanding. Tricks will no longer cut it. This week our class math goal was to convert mixed numbers to improper fractions and visa versa. Using virtual manipulatives Braedyn and Matt convert mixed proper and improper fractions. As a class we worked with paper plates, and cut these into fractions at the beginning of our fraction unit. I was beginning to get weary about what our classroom would look like when we had bits of fractions everywhere (I have a class that often hates cleaning up after themselves!). 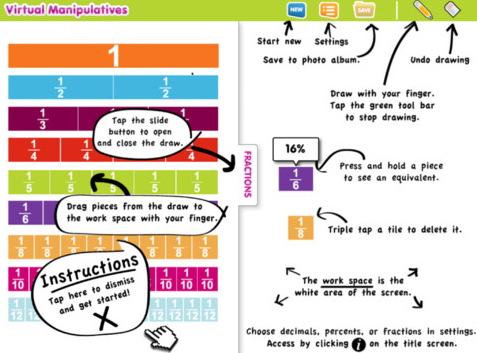 Our computer lab teacher suggested an app in the past called Virtual Manipulatives, and I thought this could be the resource I was looking for. The great thing about this app is that it holds all of your fraction strips in one app, and you don’t find twelfths all over your classroom floor. This app also offers a pencil in which students can write their fractions by hand, a decimal tab, and a percent tab. 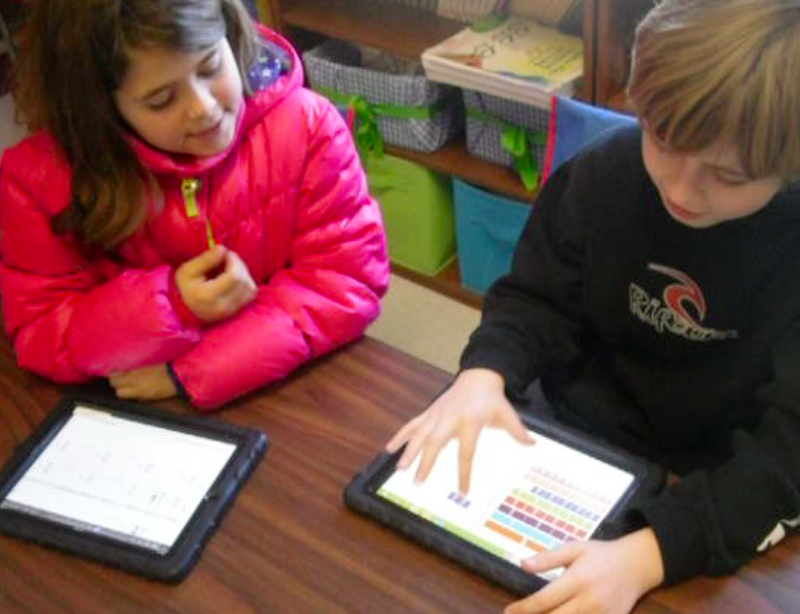 This app allows students to work with fractions bars without all of the fuss. Using this app the students were able to pull out 15 fourths easily, and clearly see that the fifteen fourths would create 3 whole bars and they would have 3 fourths left over. This visual understanding is key for those learners who just, “don’t get it”. By the end of the day all of my students could complete all of the conversions. Now we are ready to move onto bigger and better things and I don’t have bits and pieces of fractions all over my classroom. I am considering using this app during math instruction at all times due to the simplicity and the fact that we could have used this app during our decimals unit as well. 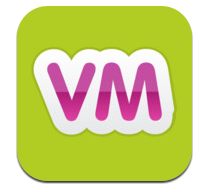 Next week, students are going to complete a slideshow as a review using this app independently!